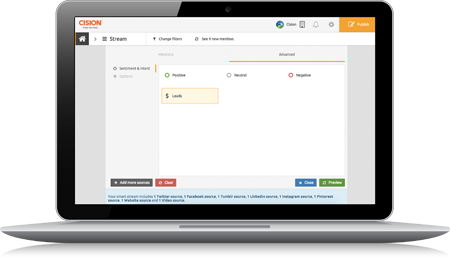 Easily connect to SugarCRM, Desk.com, Zendesk, Google Analytics, Omniture and more to deliver social data. 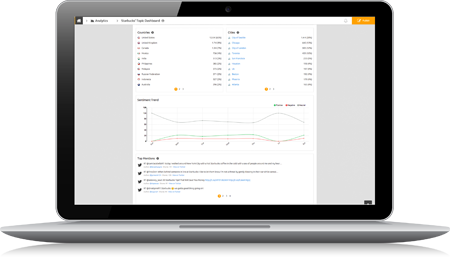 Monitor real-time social conversations to understand what is being said about your product, company, brand and competitors. Track Twitter, Facebook, blogs, websites, Pinterest and videos. Stats are computed in real-time and you can export it daily, weekly or monthly. 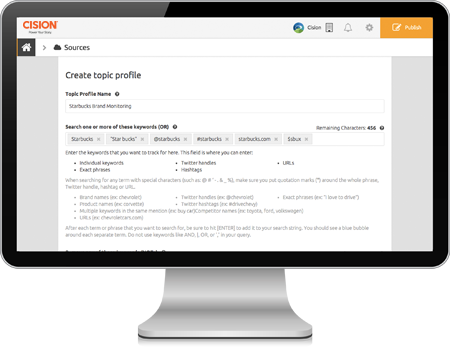 Pull all social web data around key topics. Analyze conversation around your product, brand or competitors across the social web to find out whether sentiment is positive, negative or neutral. Define your own thresholds to classify sentiment appropriately. Improve accuracy by “training” our sentiment analysis to adapt each time you use it. Identify which leads are most likely to make a purchase based on their social media activity, so you can engage with the right people at the right time. Add our patented technology to your apps to determine purchase intent.